Perform all of the duties associated with managing of the Central & Regional Warehouses. Training and directing the work of Shipper/Receivers. Maintaining an adequate workforce by reviewing staff requirements and time off requests, and making recommendations to the Departmental Manager. Scheduling and rescheduling work in response to rapidly changing workload, and prioritizing receipt and delivery of goods in response to critical requirements. Acting as a liaison between the Warehouse, Purchasing, Accounts Payable, Regional Warehouses, and other departments as required or assigned. Maintaining source document files, e.g. Purchase orders, receipts, return or vendor, etc. Providing procedural expertise with regard to the inventory and meter control systems and material acquisition requirements to all client groups throughout the company. Monitoring and maintaining control or receipts of stock and new meters. Coordinating inventory checks, counts, and controls as required or assigned by the Warehouse Manager. Assists the Manager in the development of long-term strategies for the Warehouse group. Ensure that all purchase requisitions and Purchase Order documents comply with established processes, policies and procedures. Electronic issuance of purchase orders. Develop and maintain supplier relationships and monitor performance. Contact vendors and obtain and evaluate bids. Monitor and expedite all purchases. Maintain inventory within established dollar and quantity amounts. Assist in preparation of budgets, ensuring all purchases are within budgeted amounts. Maintain and update weekly reports. Identify opportunities for process improvements and implement ideas for cost savings through CGA, procurement seminars and vendor site visits. Five (5) years relevant experience in supply chain and purchasing in a warehouse environment plus SMT Diploma or recognized equivalent designation. Proficiency with Microsoft Office tools and ERP Systems, preferably JDE. Good understanding of inventory management. Creative and adaptable to new situations. Exceptional customer service skills and experience. Demonstrated ability to balance multiple priorities simultaneously. 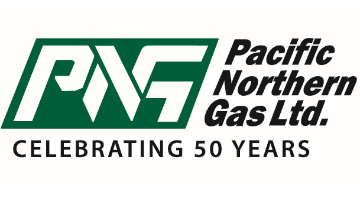 Pacific Northern Gas offers a comprehensive defined benefit pension and benefits package in addition to work/life balance and opportunities for career growth. We thank all applicants for their interest in our organization, but only those candidates selected for interviews will be contacted.